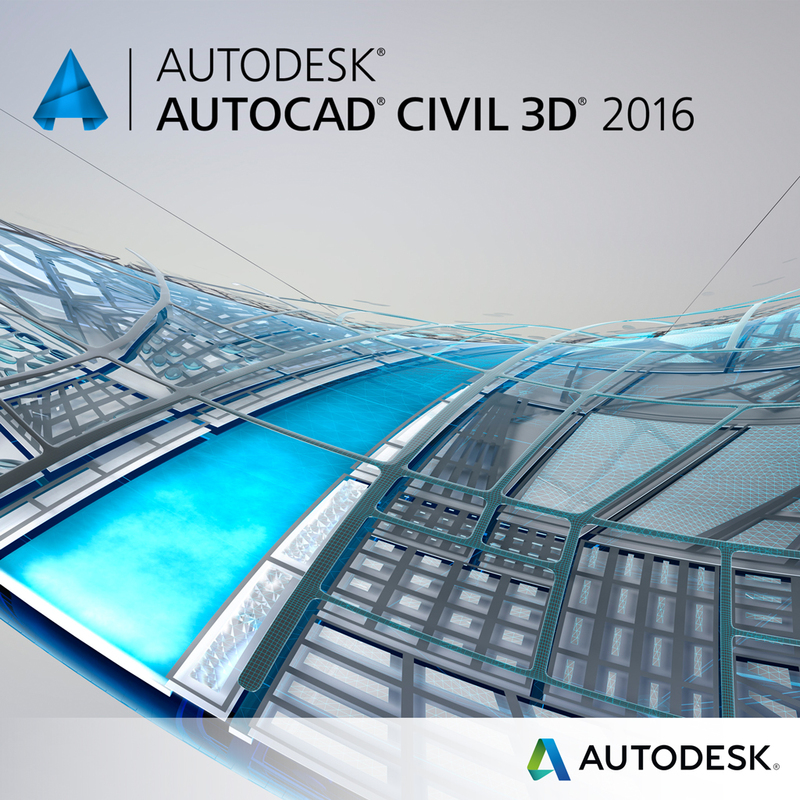 What’s New in AutoCAD Civil 3D 2016? 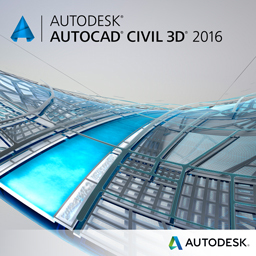 AutoCAD® Civil 3D® software is a civil engineering design and documentation solution that supports Building Information Modeling (BIM) workflows. Using AutoCAD Civil 3D, infrastructure professionals can better understand project performance, maintain more consistent data and processes, and respond faster to change. With a focus on optimizing transportation design workflows, AutoCAD Civil 3D 2016 offers improved usability and greater efficiency with corridor, profile, and production drafting improvements. Layouts now support Drag and Drop to move or copy layouts to positions that are hidden in the overflow menu. User Interface now supports a GALLERYVIEW system variable that controls whether galleries are displayed. An example of a gallery would be a preview of blocks, mleaders, dimensions, and tables. UI Finder – When you click on the Find link for a tool in the Help window, an animated arrow points to the location of that tool in the Quick access toolbar and user interface. In AutoCAD 2016 this functionality has been extended to include the status bar and application menu. The .DWG format will remain the same format for 2016. AutoCAD 2016 has added support for attaching coordination models to a drawing. A coordination model is a model used for virtual coordination of various trades through the pre-construction and construction phases of a project. Support for attaching Autodesk® Navisworks files, either an NWD or NWC file, is supported. Tools such as Point Cloud Object Snaps, Point Cloud Crop States, and, an addition Point Cloud Manager that always displays the on/off buttons for scans and regions, give you more functionality for the user to visually display and use the point cloud data. Bring Autodesk InfraWorks 360™ data into AutoCAD Civil 3D by referencing a local InfraWorks 360 model has been integrated. The feature has been enhanced with the ability to bring Autodesk InfraWorks 360 bridges into AutoCAD Civil 3D as 3D solids. This enables a user to take preliminary design efficiently into a design environment and then back to Autodesk InfraWorks 360 for more accurate visualization of a project. The ability to import and export Industry Foundation Class (IFC) files has been added. This allows a user to Import and Export AutoCAD solids to IFC files for use in other applications. We now have the option to use the Manage Data Shortcuts command to repair broken data shortcuts and to replace drawing objects with data shortcuts. As a result, users are able to compare the objects and data shortcuts that are in the current drawing to the data shortcuts that are available in the current project. Users can select a drawing object, or a broken data shortcut, and then link it to a valid data shortcut. Users can organize your project objects within subfolders by using Autodesk Vault Professional 2016. The subfolders are displayed in Prospector if they contain a project object. Want to learn more? 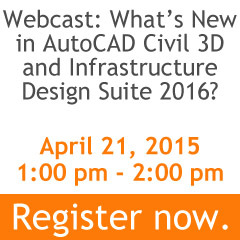 Join us for a live webcast on April 21 with Kevin Spear, Synergis Infrastructure Applications Consultant, who will walk you through using the new Civil 3D 2016 features. Learn more or register. Wow! Autocad is good software for design.